The Ninja is AWAKE! Voting is ENABLED! THE BOT HAS WOKEN UP FROM IT'S NAP! All voting is now ENABLED! You can now send SBD in return for votes! All funds received while the bot was sleeping have now been refunded! 49 + however many people on the streemian trail! great. can someone send @cheapogroovo 0.4 SBD? All the best :) Write a good post. WOOW its work! i got 51 upvoted but with very little amount $ :') how to improve this $ my friend @zord189 can you teach me ? Hey @syafrizal, please read this post. 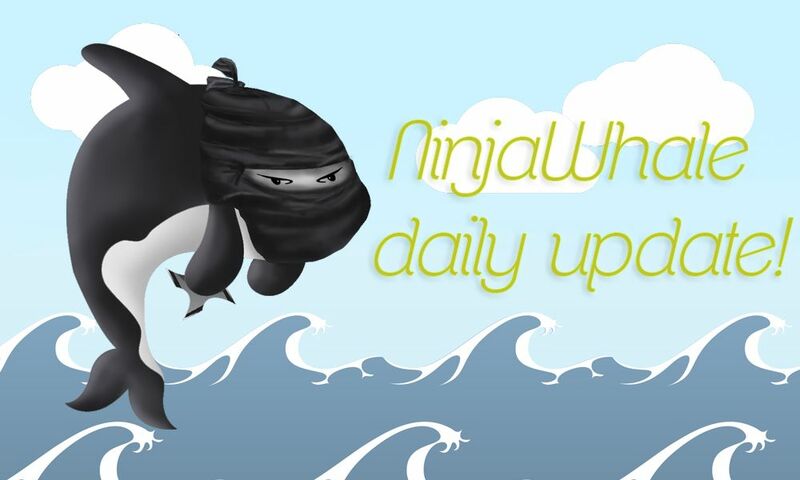 This is the purpose of ninjawhale, in time, ninjawhale will definitely increase in SP and that will improve the $ for everyone who uses him. That being said, continue to follow @ninjawhale. Hi. @ninjawhale thanks for sharing . Do you know anything better? I never tired any bots till my reputation was 49. I was stuck up for a long time at 40, then suddenly got a whale vote of 50 SBD. But it seems bots will do the trick at least till I get to 60. True. You can tell by their spelling. Ah, I see, thank you. But I think these bots give only a few votes, not as many as 49+ like @ninjawhale. You get more returns for your SBD spend but not the numbers if that's a need. Correct me if I am wrong. Congratulations @ninjawhale, this post is the forth most rewarded post (based on pending payouts) in the last 12 hours written by a User account holder (accounts that hold between 0.1 and 1.0 Mega Vests). The total number of posts by User account holders during this period was 1651 and the total pending payments to posts in this category was $1495.99. To see the full list of highest paid posts across all accounts categories, click here. But my last entry was not voted upon, here is the link and I also checked the steemnow of the receiver and the ninjawhale wallet, everything is in order but the votes... ? Would appreciate a refund if you are not voting soon.